I came across this article from Microsoft, trying to find a developpement envrironnement to work on Python. I first looked for addons on the eclipse plateform but was not really convinced. 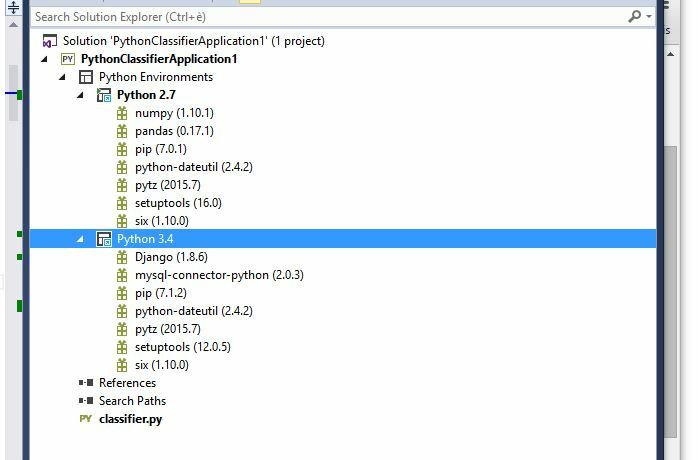 It is free and you can use a lot of builtin visual studio feature on your python project.